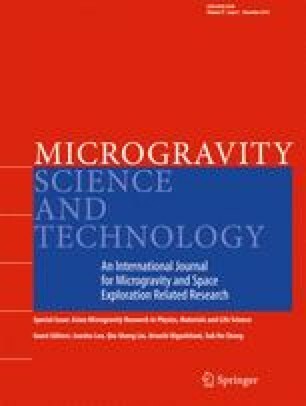 Evaporation of a macroscopic-scale sessile droplet on different hot isothermal substrates has been experimentally investigated, for the framework of planning space experiments onboard Chinese recoverable satellite to explore the interface effect, heat and mass transfer during the phase transition process. Undoubtedly, the evaporation phenomenon of a sessile drop on heated substrates is a complex problem which involves the behavior of triple line, heat transfer with thermal conduction and convection, mass transfer into the vapor phase. Therefore, preparations from scientific view have been carried out to validate setup of the space experiment modes. Based on the experiments performed in the terrestrial gravity, we found that the evolution of a water droplet could be separated into three stages, began with the constant contact area, then switched to the depin stage and ended up with the flushing stage. The average evaporation rate was measured and the thermal effects of different substrates were studied. Results revealed a linear variation of contact diameter with its average evaporation rate, which has the similar tendency with small drops. The varieties of the heat flux density during evaporating showed that droplet absorbed energy from the heated substrate, then with the help of the internal flow of thermocaplliry and buoyant convection, heat was transported to the liquid-vapor interface providing the energy for evaporation. This research was financially supported by the National Natural Science Foundation of China (Grants No.11302236) and the Strategic Priority Research Program on Space Science, Chinese Academy of Sciences (Grants No.XDA 04073000, XDA 04020202-02), and China Manned Space Program (TZ-1).